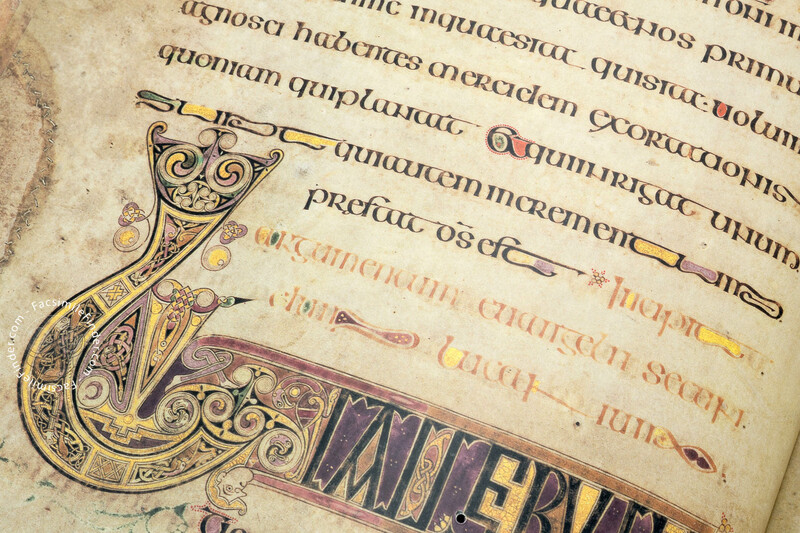 Irish monks, once the storms of the mass migrations had quietened down, took to spread the Christian faith all over Europe by their dedicated mission during the 5th, 6th and 7th centuries. 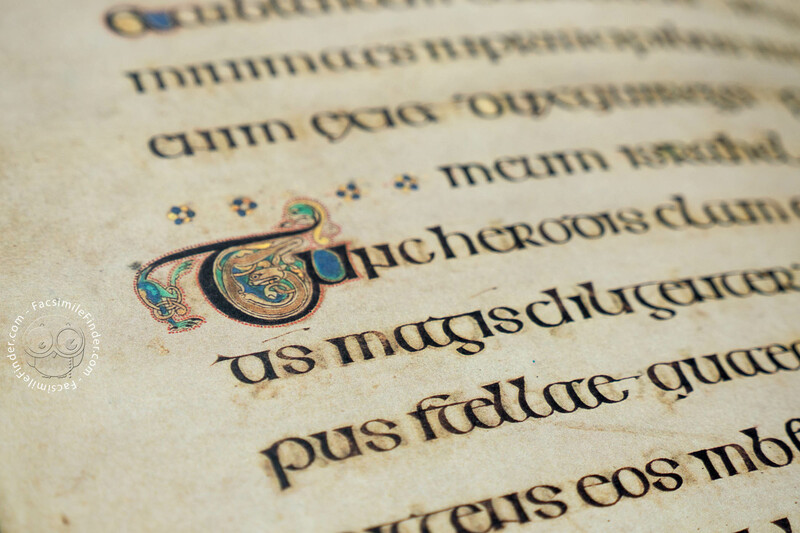 The age-old Irish-Celtic culture began to fuse with the impressions gathered by the monks during their extended dangerous travels. 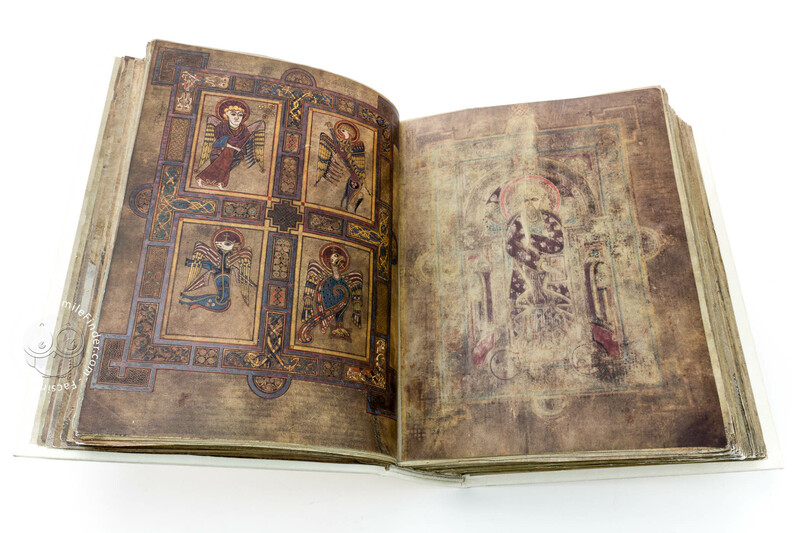 At that time, also called The Time of Scholars and Saints, the Irish monasteries were influential cultural and spiritual centres of Europe. 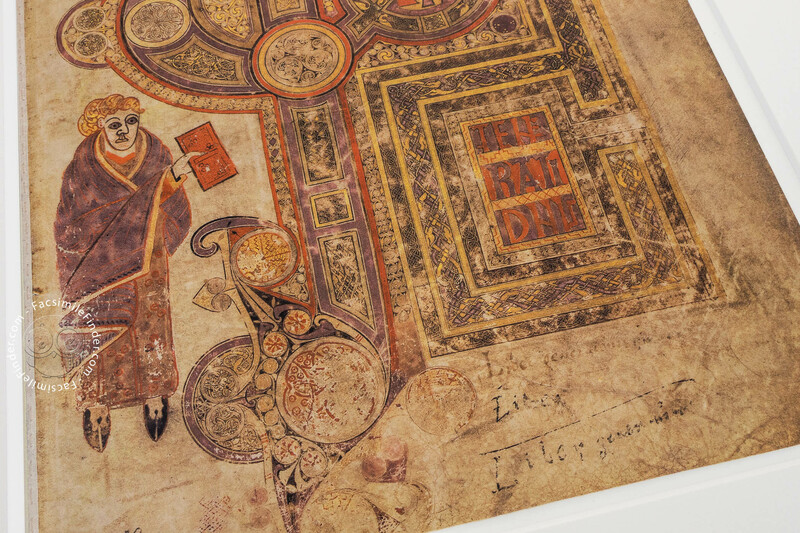 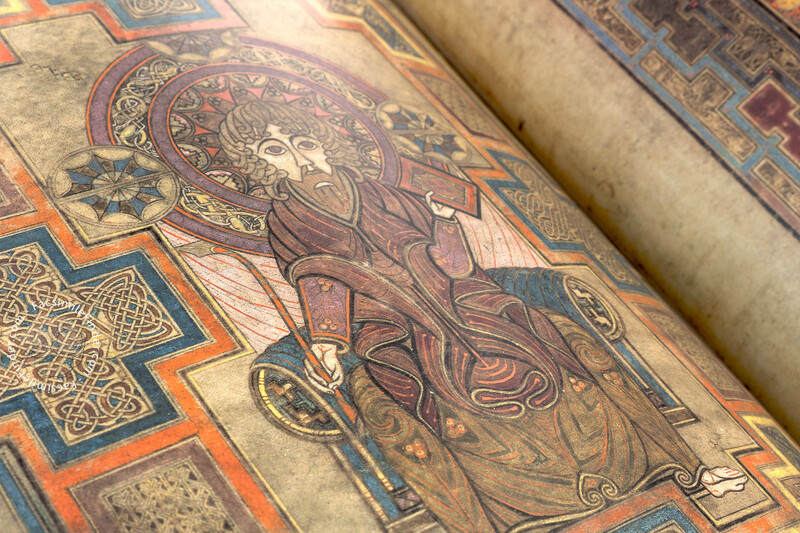 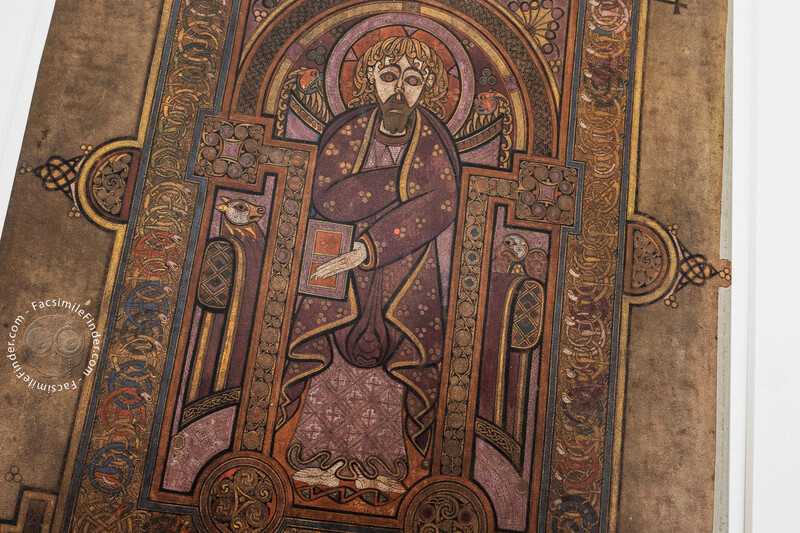 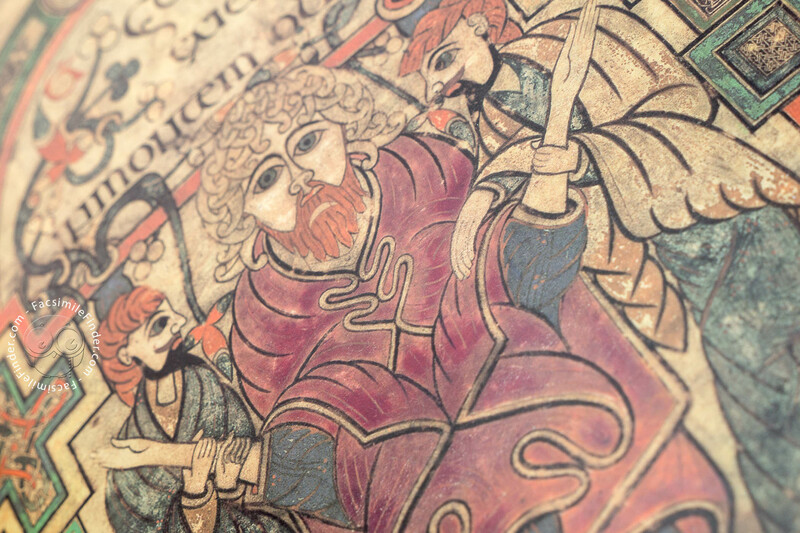 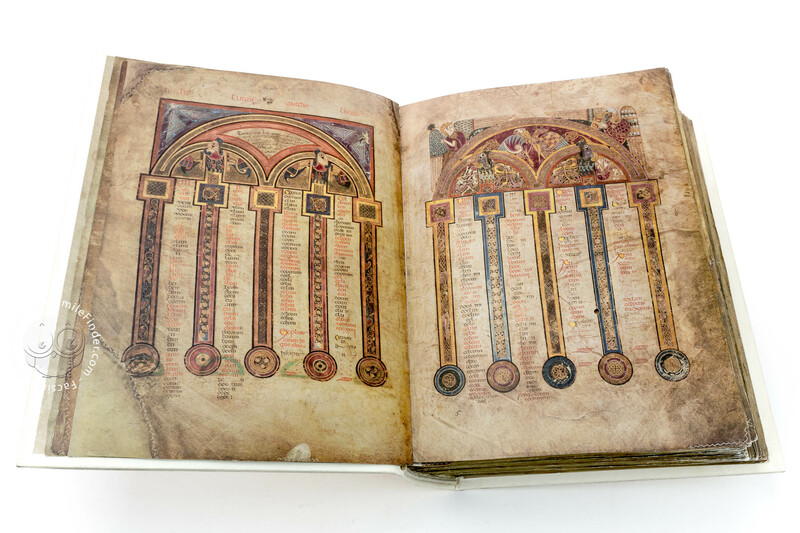 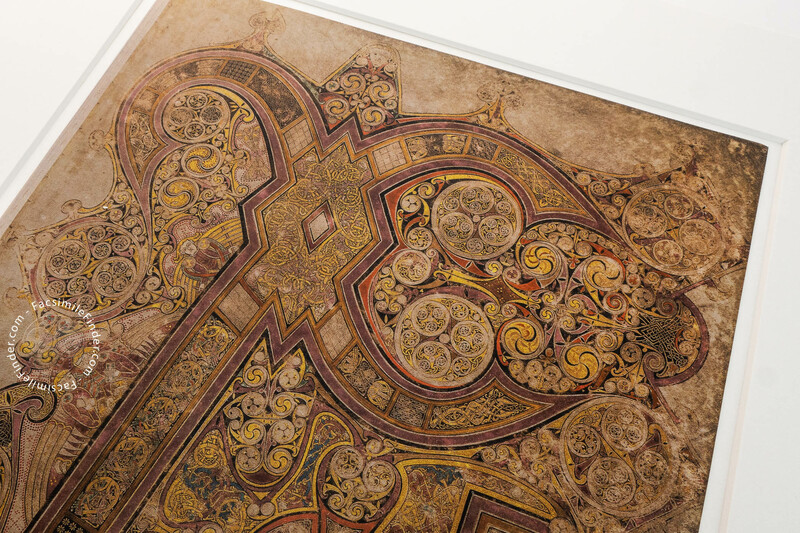 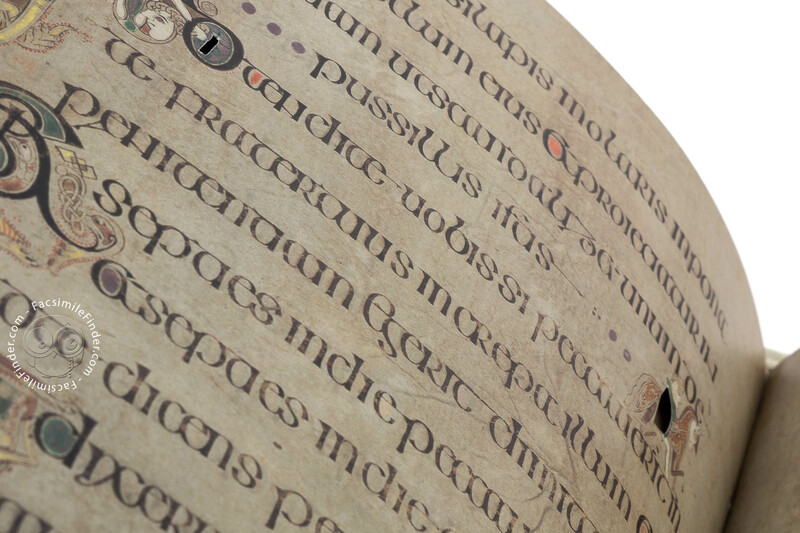 At the height of Irish monasticism its most precious work was created, the Book of Kells. 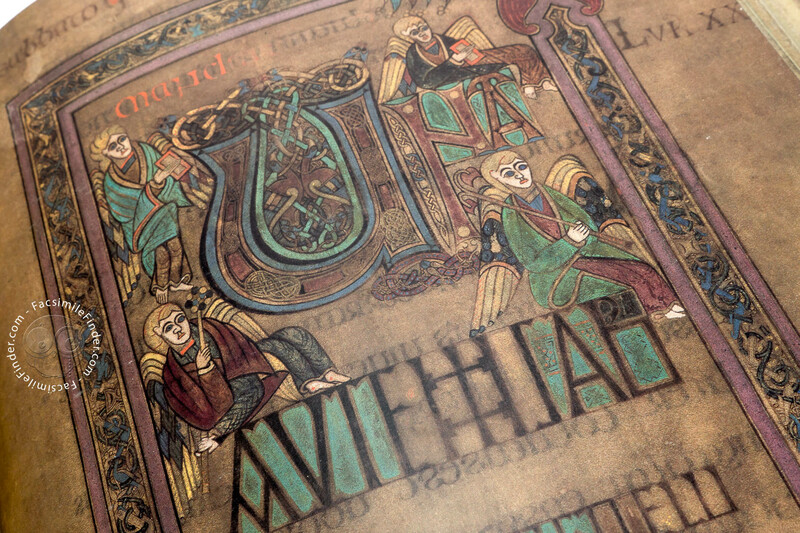 The Book of Kells is thought to be the work of a number of unknown genius-artists living in the monastery of Iona around the year 800. It is first mentioned in an account of a theft in the church of Kells in 1007, which describes the book as "The great gospel book of Columcille, the holiest relic of the western world". Soon after that the manuscript was found buried at Kells. 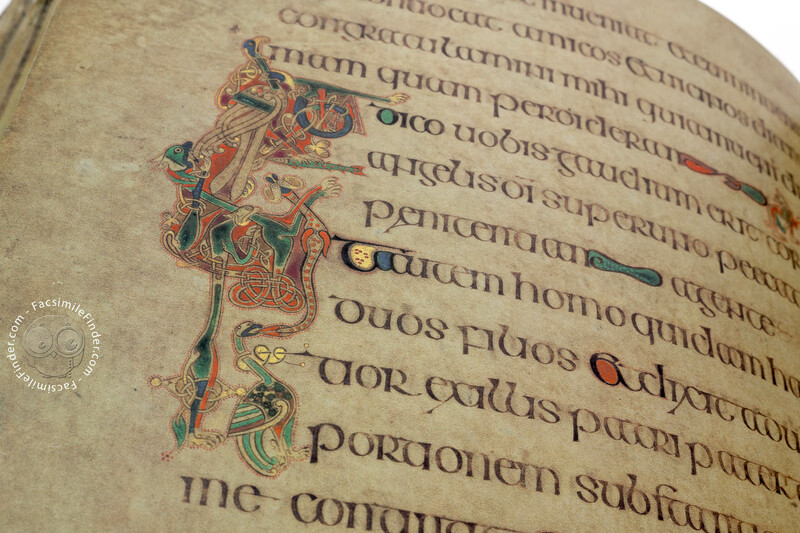 And it would remain there until, during the reign of Cromwell, it was brought to Dublin for safety reasons. 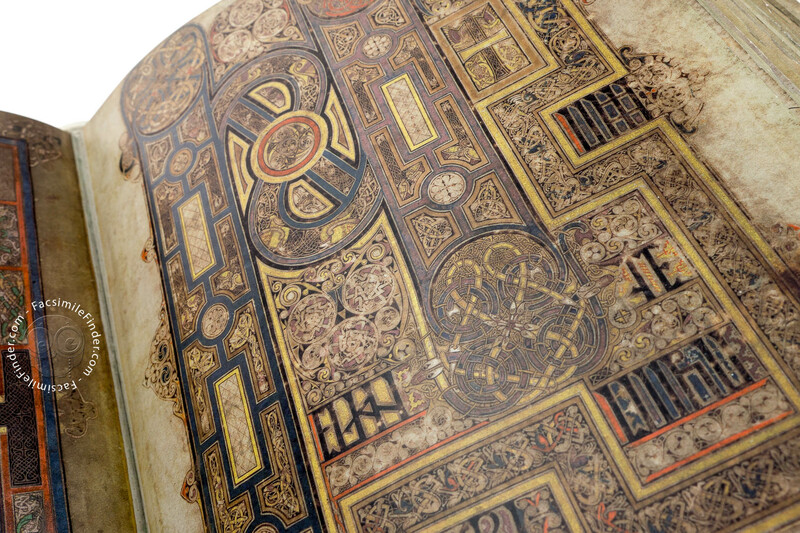 Around 1661 Henry Jones, bishop of Meath, donated it to the library of Trinity College where it is kept to this day. 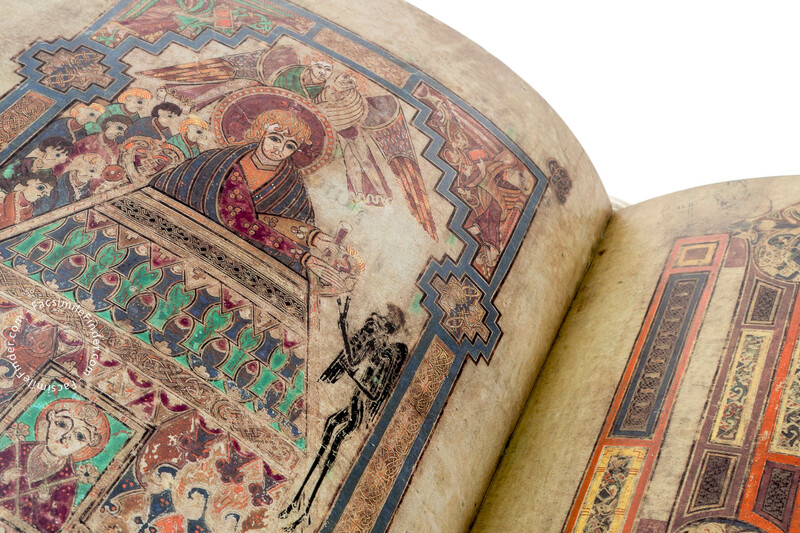 There are very few other works which express a similar symbolic power and magical radiation as this magnificent Gospel Book. 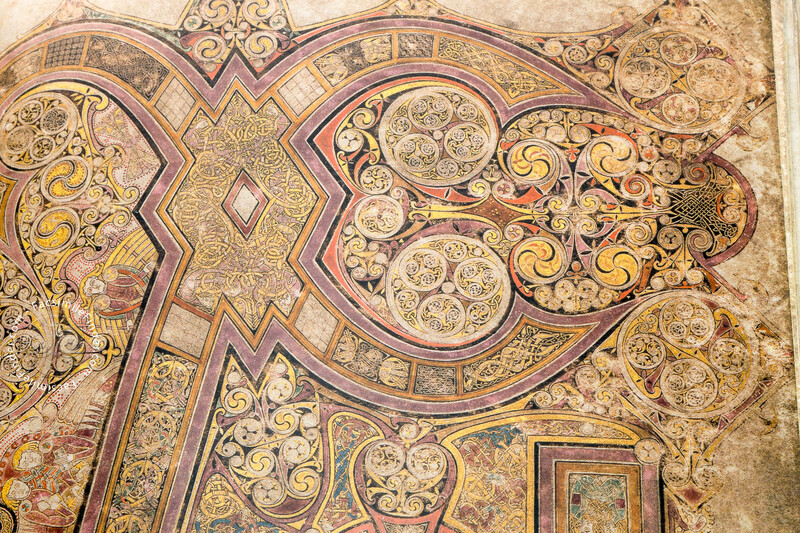 Its mysticism lies in its rich and complex decoration. 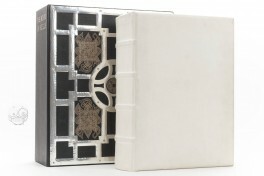 The impression of the holiness of the text is enhanced by its decorative apparatus which seems truly supernatural. 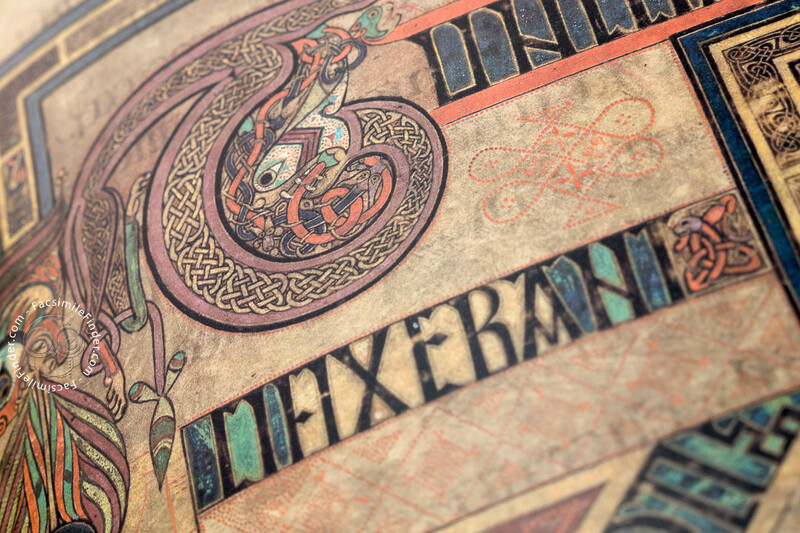 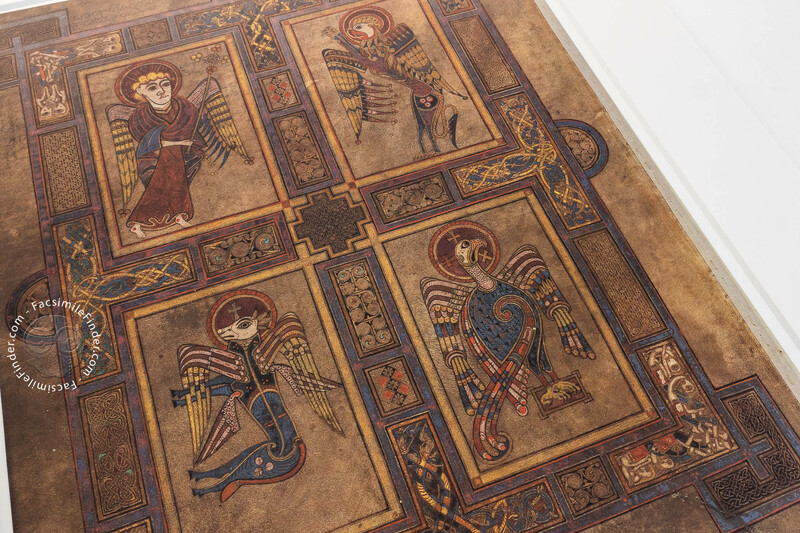 Analysts examining the style of the decorative elements used in the Book of Kells have come to ascribe it to an artistic tradition which is also found in other works of art of the same period. 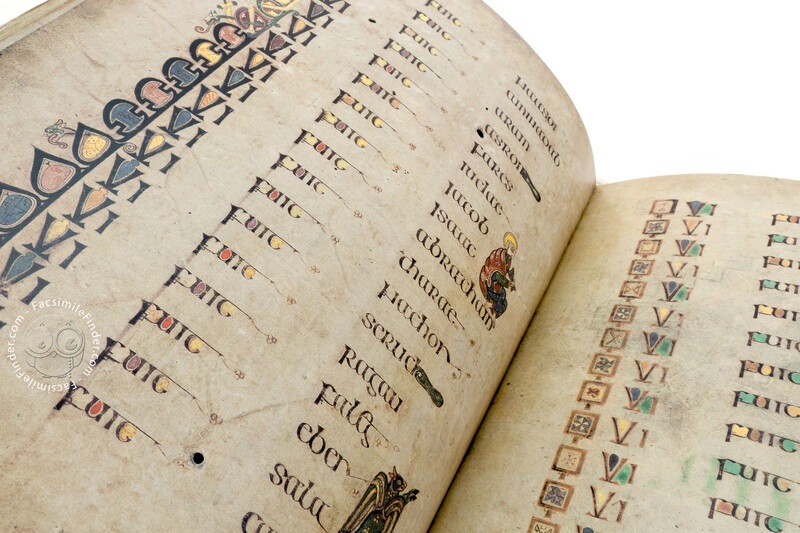 However, too little information survives to exactly localise and date the manuscript according to its geographical or historical background. 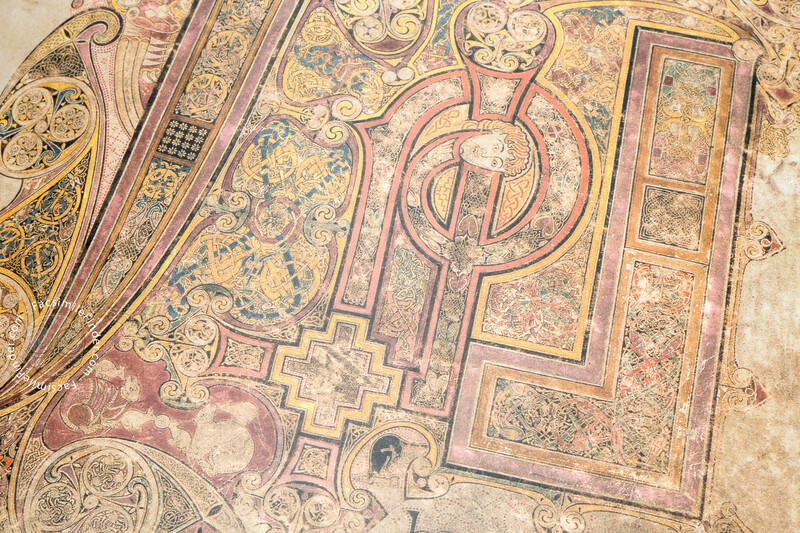 The Book of Kells contains mainly the Four Gospels. 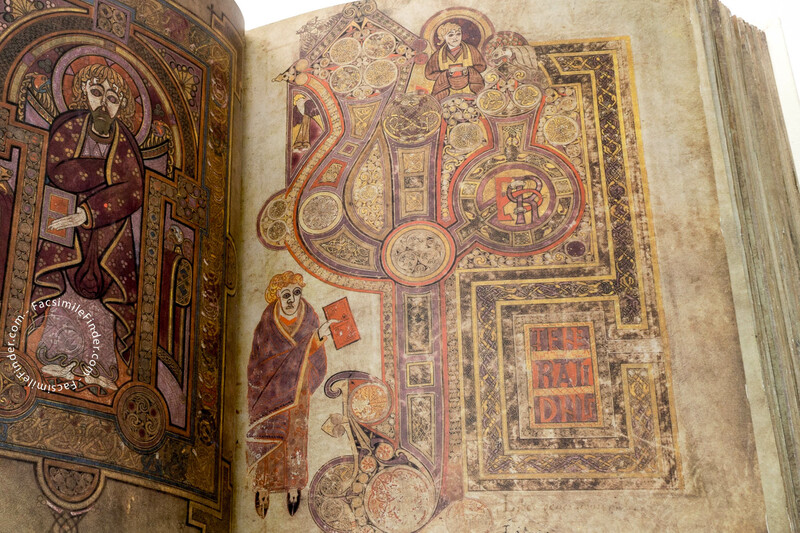 However, other texts were also included in the book; at the beginning of the book, the canonical tables which contain the concordance compiled by Eusebius of Caesarea, and a number of property deeds relating to the monastery of Kells. 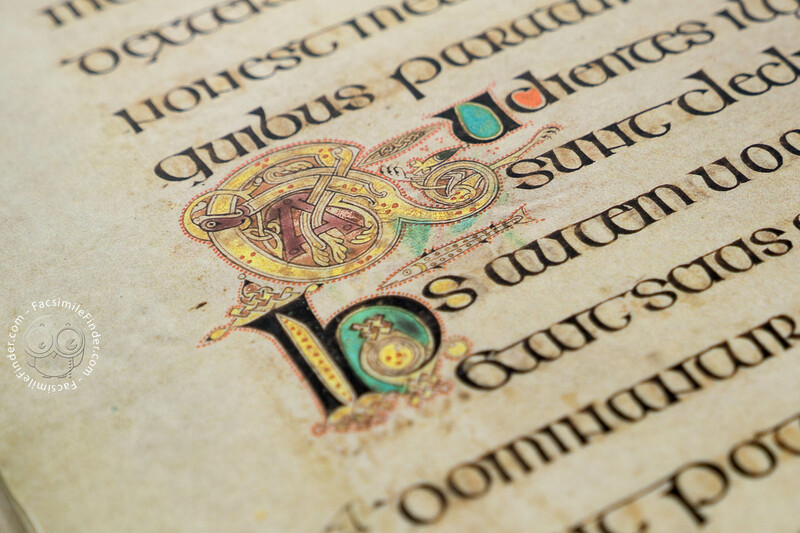 The Latin text is written in proud insular semi-uncial, which like its magnificent illuminations, marks a highlight of Irish art creation. 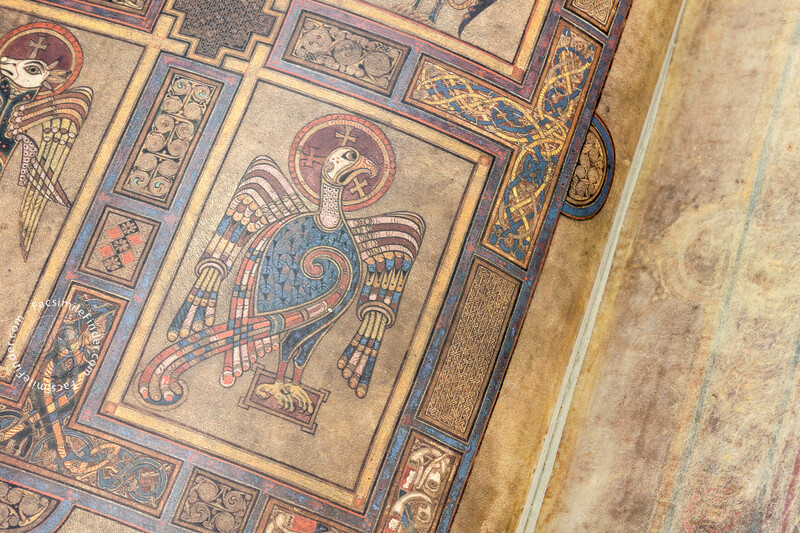 The Book of Kells must have been made in a scriptorium which knew even the most sophisticated tricks of the trade in manuscript production, as only the most profound technical know-how combined with excellent knowledge on contemporary and historic art could create such a wealth of symbolic and mystical illustrations. 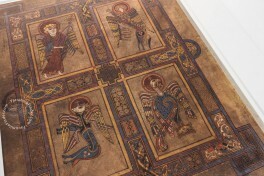 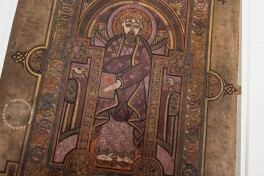 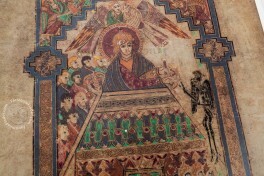 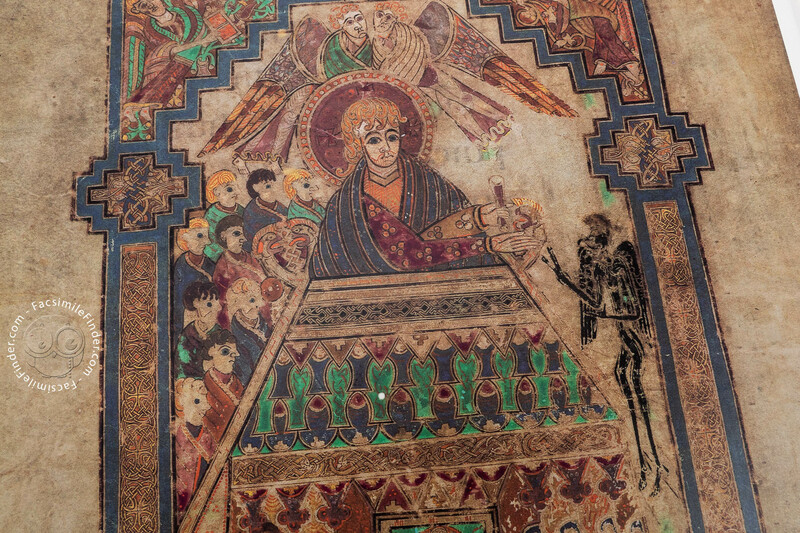 The Book of Kells contains diverse miniatures of the Early Middle Ages which count among the most beautiful ever made. 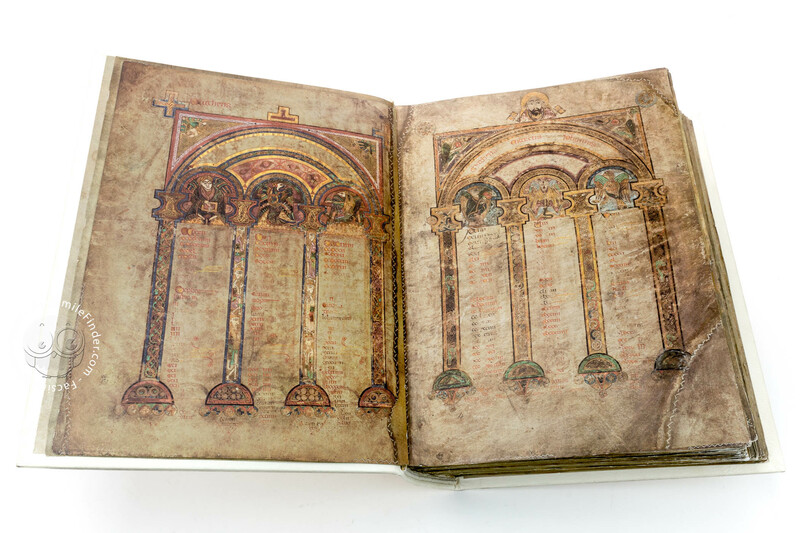 All, except two, pages of the manuscript are decorated with a truly unbelievable wealth of symbolic and mystical paintings. The manuscript fascinates not only by the great number but also by the sheer size of its vellum pages, measuring 33.0 x 25.0 cm on average. 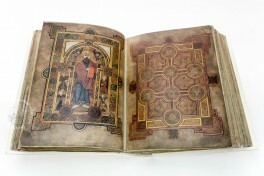 It was neither intended for daily use nor for study purposes but rather considered as a sacred work to represent the Word of God on the altar on high holidays of the Christian year. 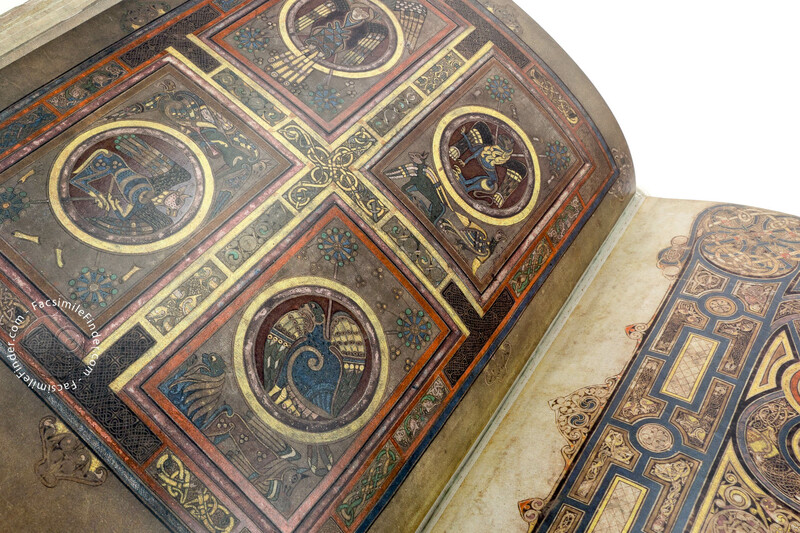 The book contains the Four Gospels as the most sacred texts of Christendom, and also a number of amusing quotes. 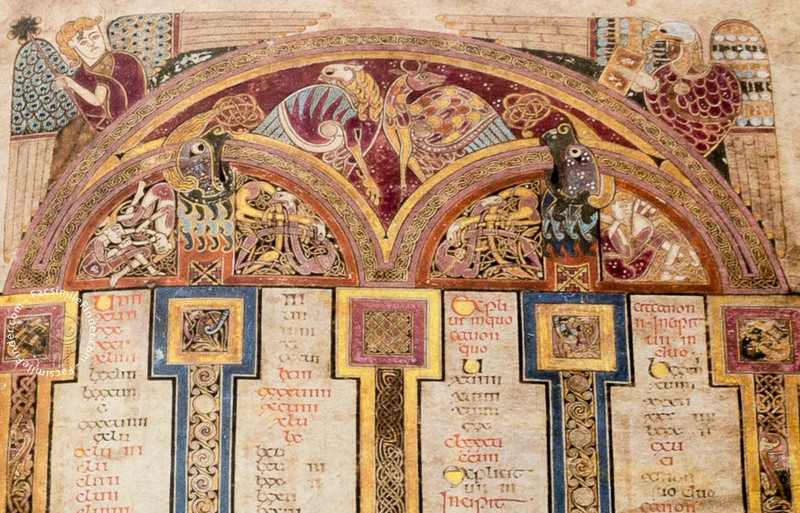 One of them shows a mouse, having stolen a consecrated wafer, which is chased by a cat across the page (fol. 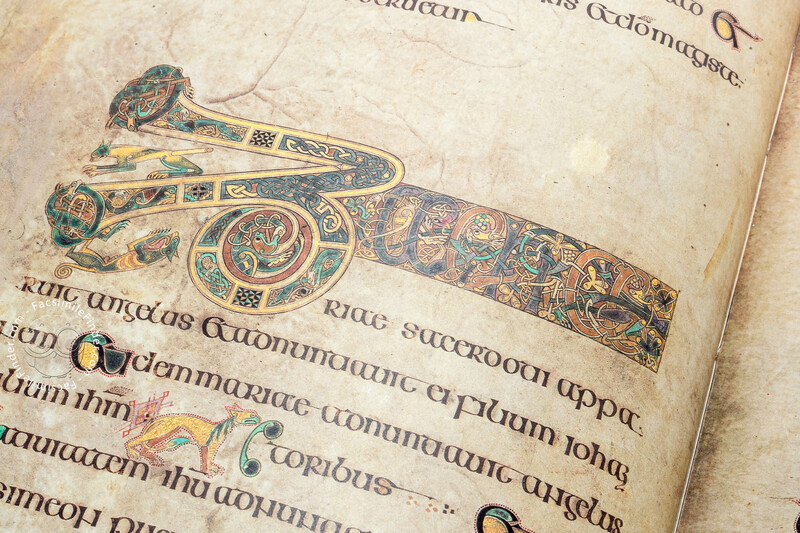 48r). 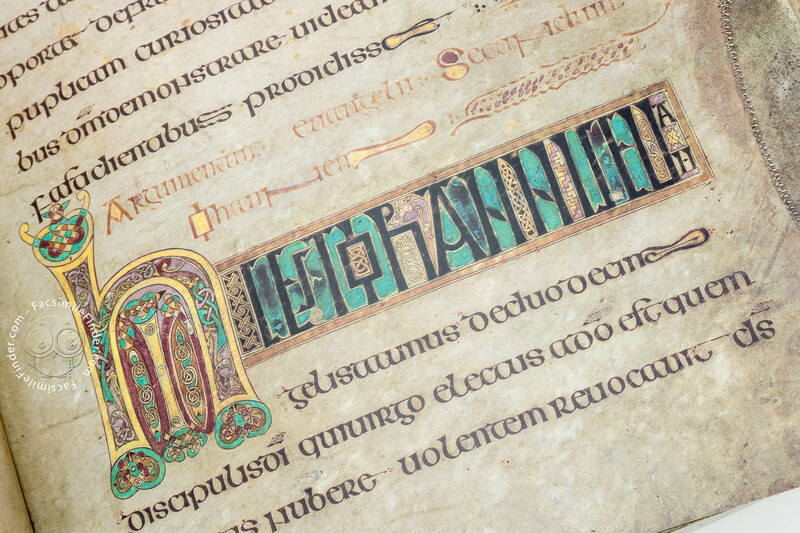 In the Bible verse "No one can serve two masters", the initial letter of the Latin word N(emo) (no one) is composed of two male figures pulling each other's beard. 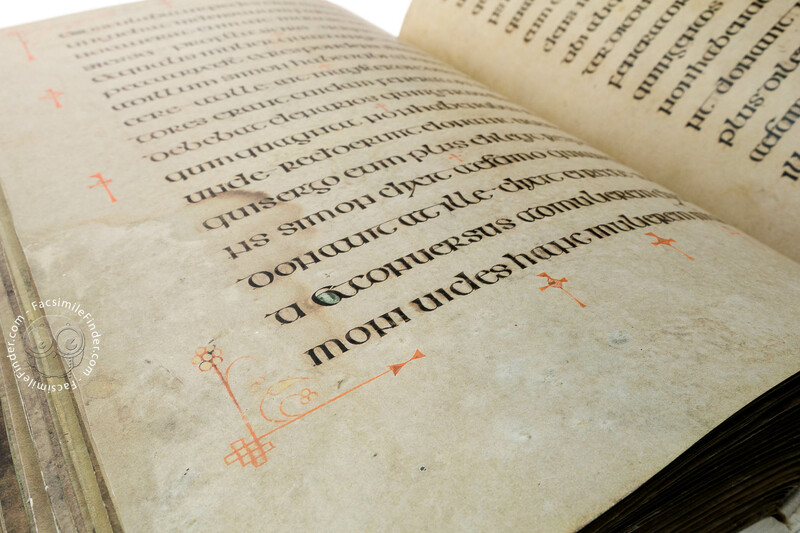 Manuscript book on parchment − 33 × 25 cm − 680 pp. 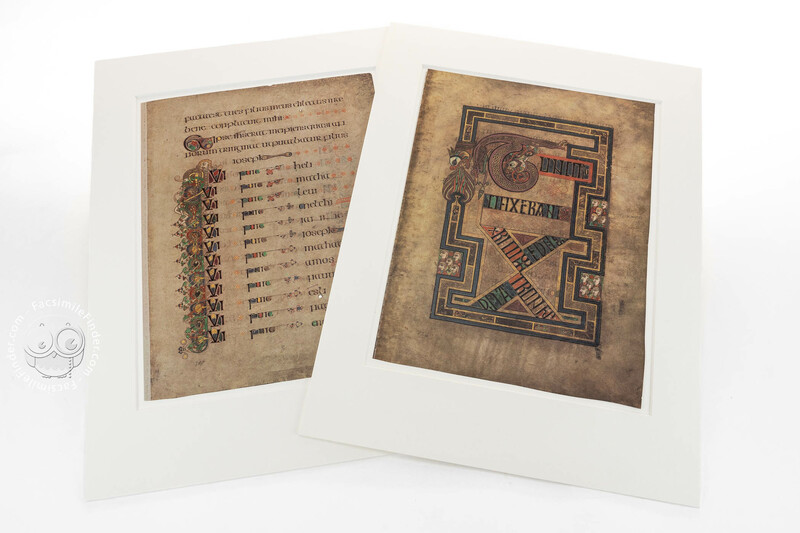 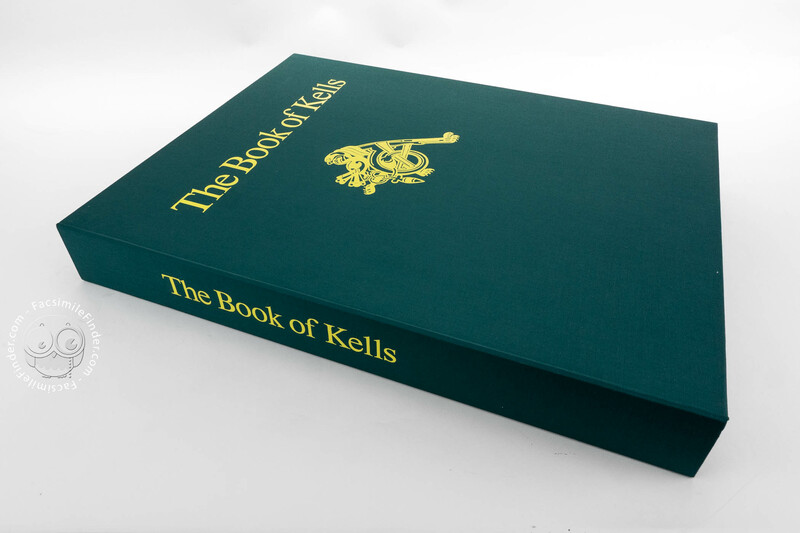 Book of Kells facsimile edition by Faksimile Verlag. 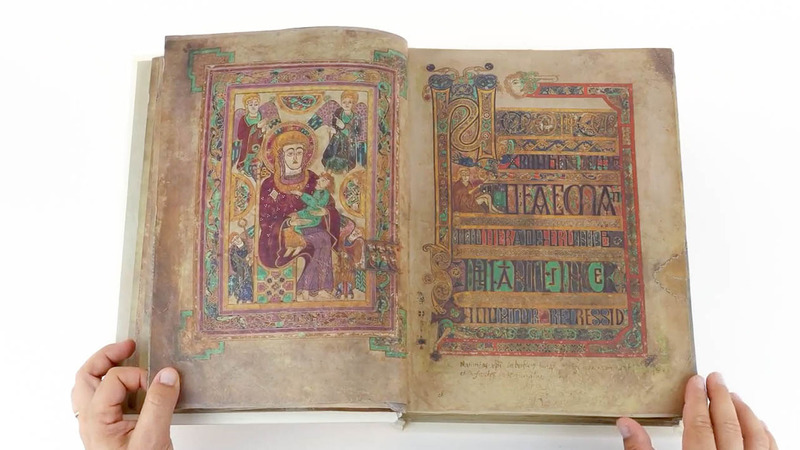 Full-size color reproduction of the entire original document, Book of Kells: the facsimile attempts to replicate the look-and-feel and physical features of the original document; pages are trimmed according to the original format; the binding might not be consistent with the current document binding. 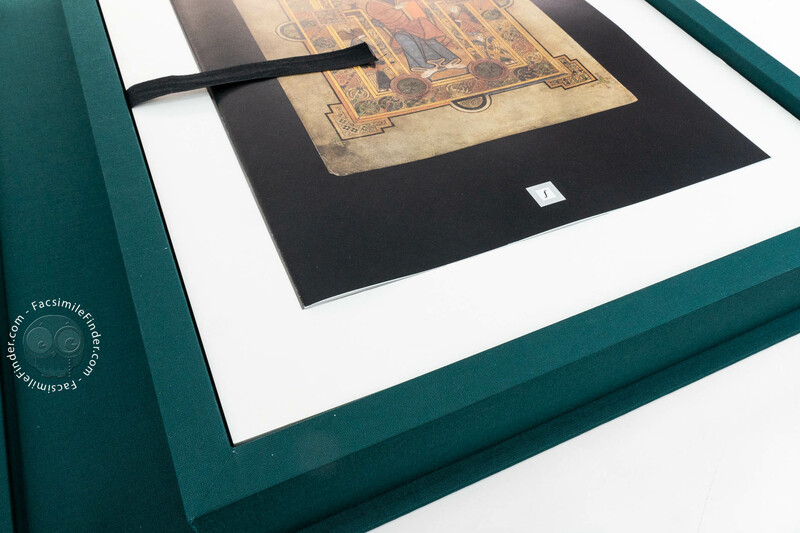 The fine art facsimile edition is composed of two volumes, the facsimile itself and a scientific commentary, both in a presentation case. 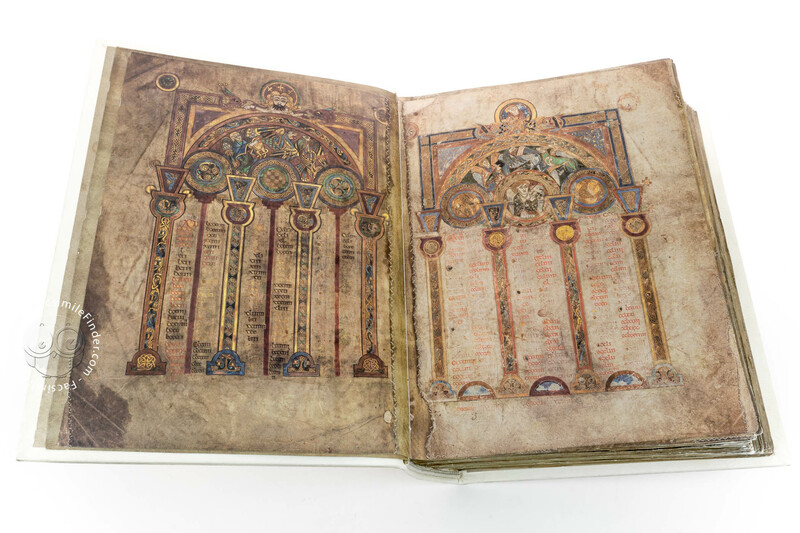 All 680 pages of the manuscript were reproduced in the finest detail, a faithful copy of the original. This fine art edition is the result of combining the most up-to-date technical processes with qualified craftsmanship. 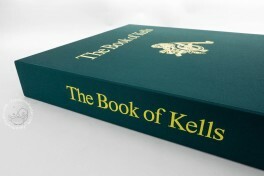 The sheets have been trimmed according to the original pages and bound by hand on four cords. 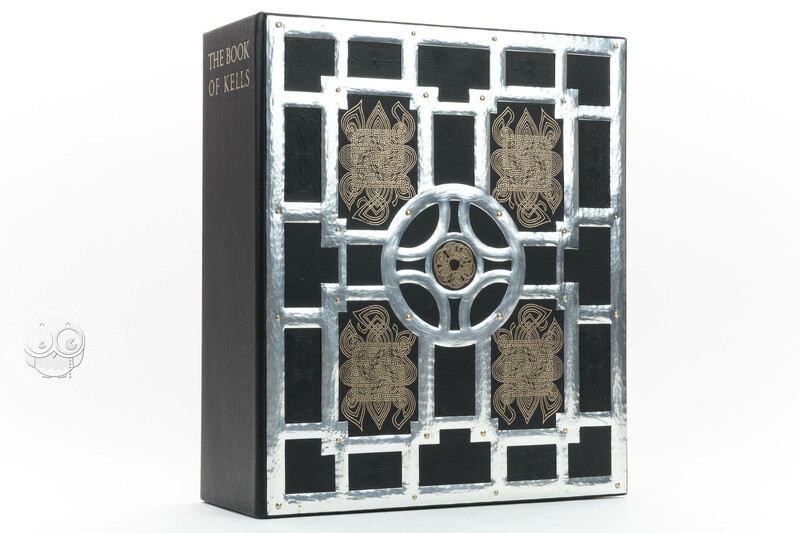 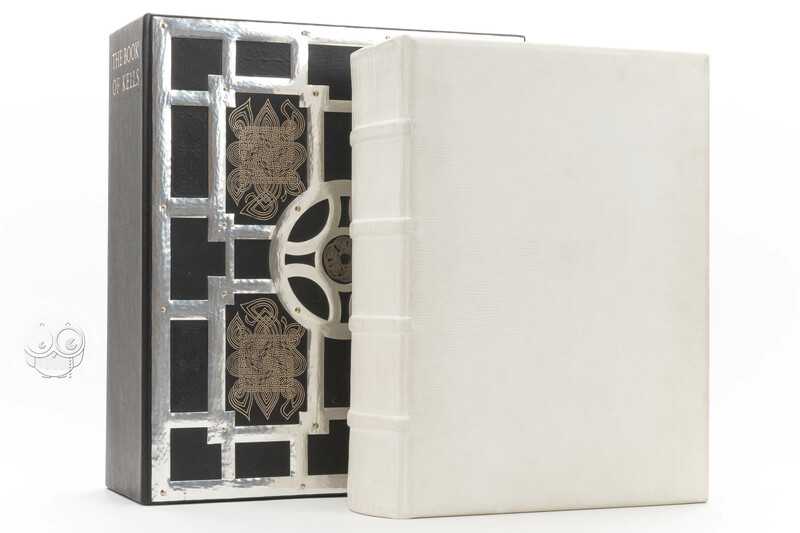 The facsimile edition is presented in a specially designed hand-crafted presentation case. A documentation folder containing three full-sized leaves from the Fine Art Facsimile Edition and an illustrated 16-page information brochure is available for information upon request. 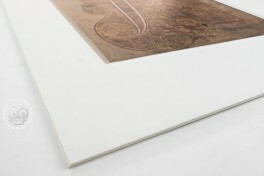 White leather. Decorative elements of the Book of Kells reappear in both fittings and embossings in silver and brass. 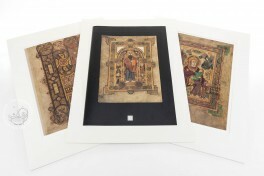 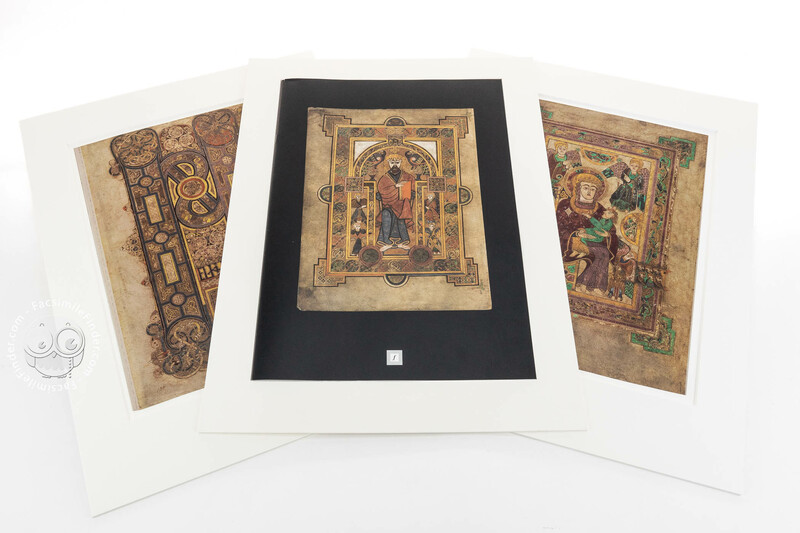 Das Book of Kells (Collection) by Faksimile Verlag. 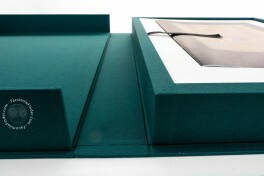 Collection: a selection of documents associated by a common thread and collected by the publisher in a single edition.